This page provides you with practical information about our practice. It includes descriptions of our office location, including a map and directions, hours, appointment scheduling, insurance acceptance and billing. We know you have many choices when choosing an cardiologist in Gilbert, AZ, so we have made requesting an appointment a simple process via our Web site. If, for any reason, you cannot keep a scheduled appointment or will be delayed, please call as soon as possible. Charges may be incurred for appointments cancelled less than 24 hours before scheduled appointment time. 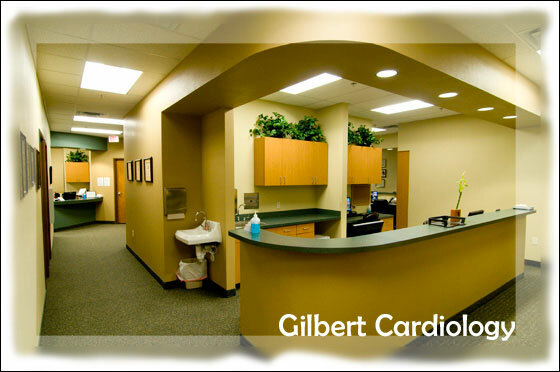 Gilbert Cardiology are providers for Medicare and most major insurance plans, and provide insurance billing. You are responsible for co-payments or charges that are not covered by your insurance. If you have questions regarding billing or which insurance plans we accept, please contact us. Questions regarding insurance coverage and benefits should be directed to your employer or insurance company. Copies of our privacy practices can be downloaded in the patient forms section above.